Getting long-lasting, fluffy and efficient bath towels may not be as easy as it seems. These everyday household necessities that used to be commonly made of cotton, polyester and velour now have a quite odd source of raw material – Bamboo. Yes, those tall, tree-like grasses are now being used to make bath towels. The long, soft fibers of the bamboo plant can be harvested and used to make soft bath towels with excellent water retention qualities. Furthermore, bamboo plant is known to be naturally antibacterial and hypoallergenic, properties that are also present in bamboo bath towels. What’s more, the towels are also biodegradable and of course, environmental friendly. Bamboo towels can be made with 100% rayon from bamboo or can be made with a mixture of rayon and cotton or rayon and polyester, with varying proportions of those in the mixture. 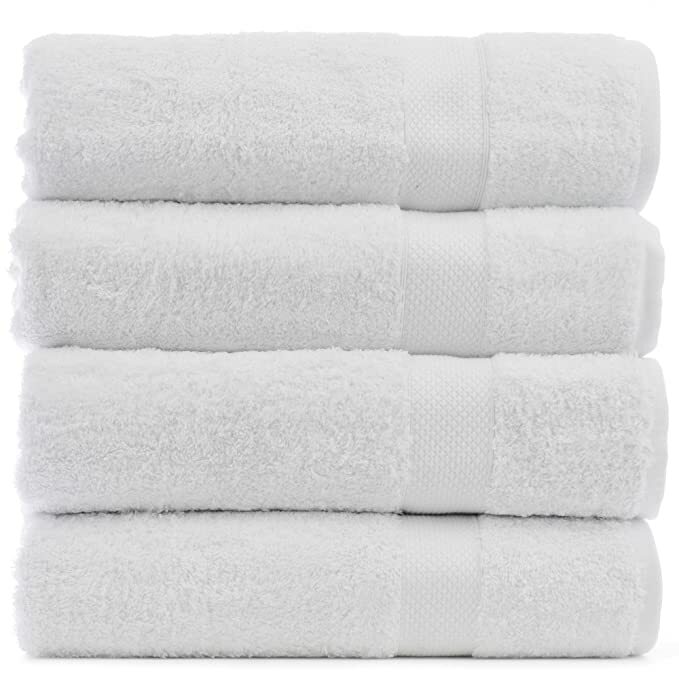 Rayon has a widely known property of being incredibly soft and when used, the bamboo bath towels are comfortable against the skin and are even safe for those with allergies, given the hypoallergenic property. This unpopular source of bath towels is quickly becoming accepted, giving the popular cotton towels a run for their money. A number of manufacturers have started making these wonderful bamboo towels, so picking a choice can be quite difficult. Lucky for you, we have compiled useful information on some of the most popular choices of bamboo towels to make your choice-making as easy as possible. Top 10 Picks of the Best Bamboo Bath Towels. 1. 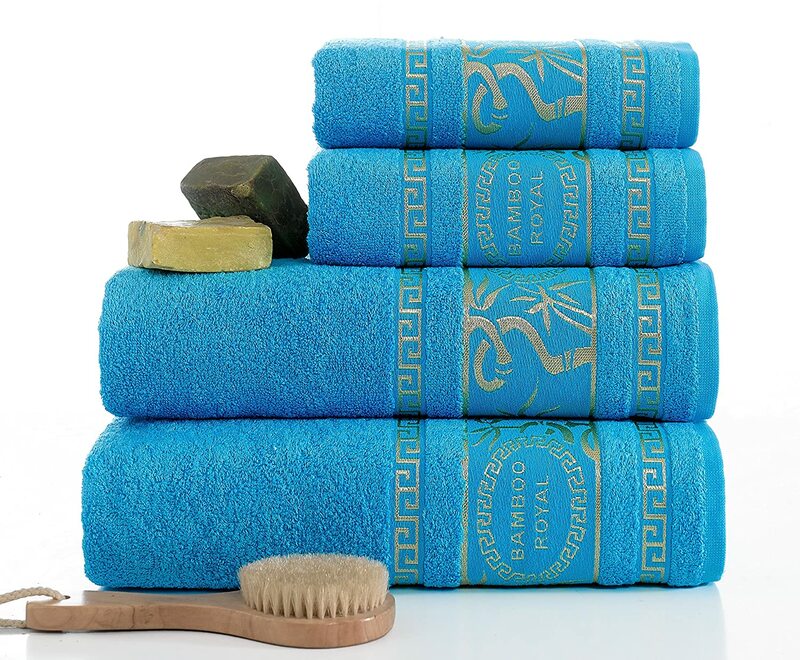 Chakir Turkish Linens Luxury Ultra Soft Bamboo Bath Towel Set. They are made with high quality, 65% genuine Turkish cotton and 35% bamboo fiber. They are soft to the touch and become even softer after the first wash. 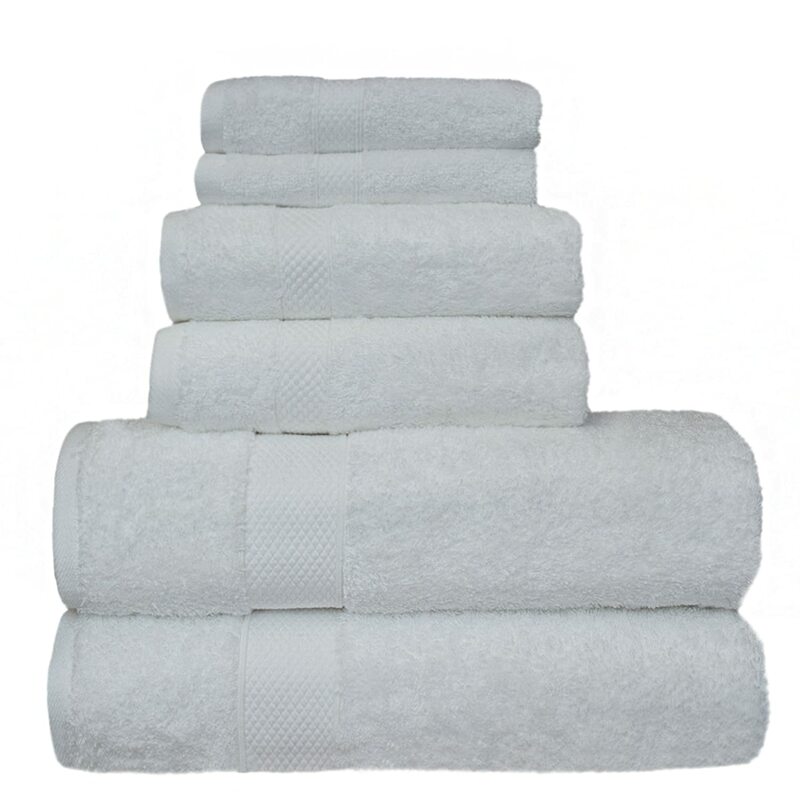 In addition these towels are also highly absorbent, quality constructed and long lasting. 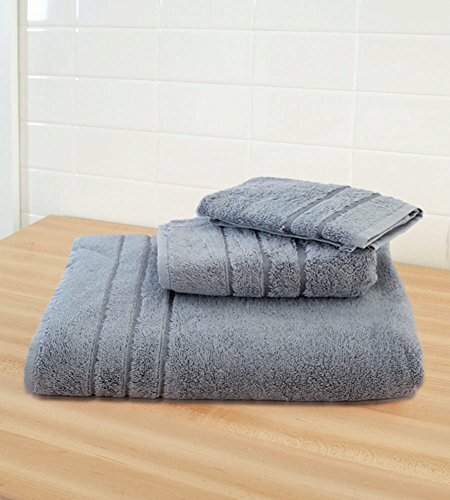 These fast drying bath towels make for a great option for people who want thin, less fluffy towels that are also cost effective. They are usually sold in stacks of three, four or even individually and come in 8 colors choices. With a double stitch edge and natural weave, this towel is a tasteful choice for any bathroom. 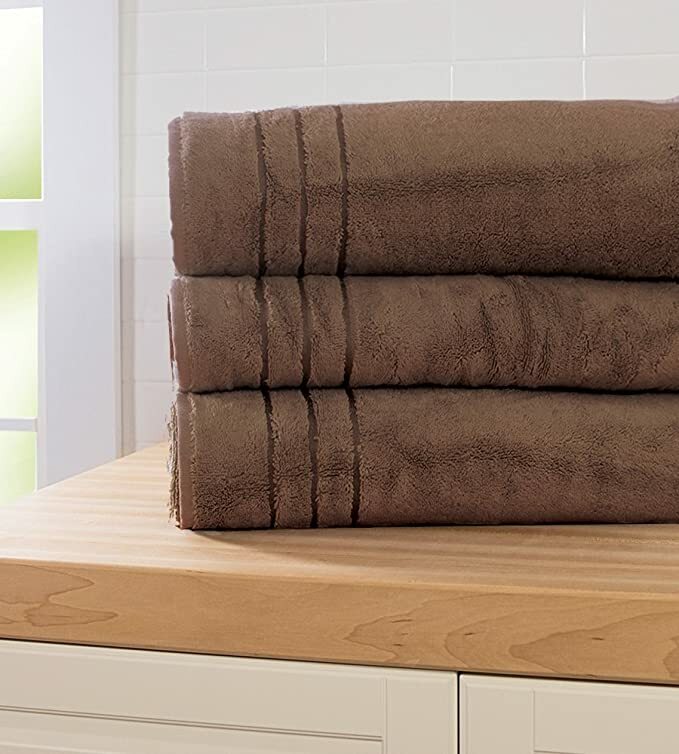 These plush towels are known for their softness and feel of comfort. They are made from 42% viscose from bamboo and 58% Turkish combed cotton, including an infusion of special silicon softener, resulting in their trademark softness and fine feel. The towel is considerably thicker than the Chakir Turkish Linen. 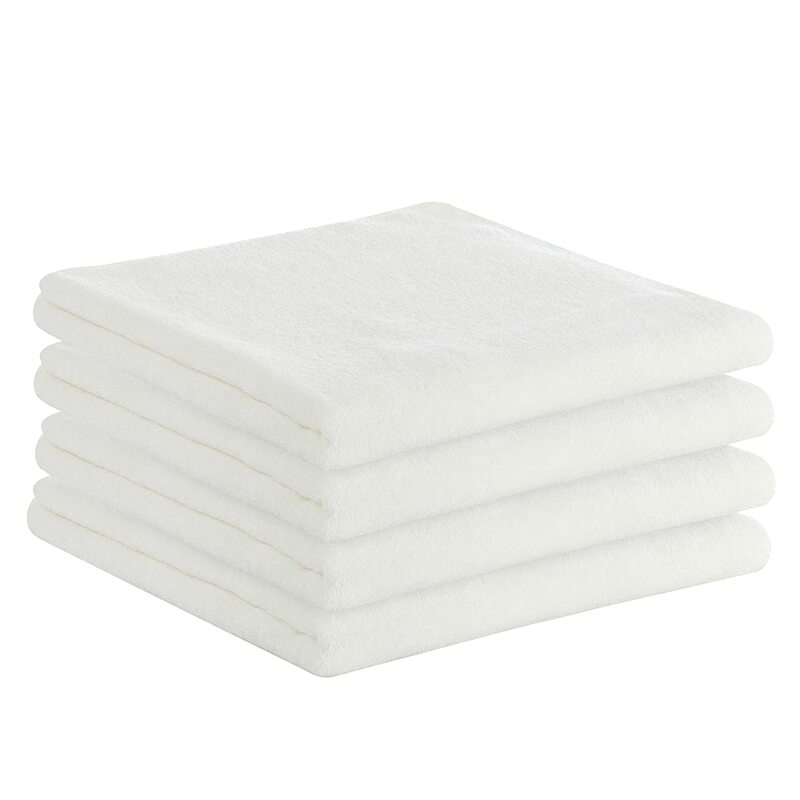 They are also odor resistant and are highly absorbent as well. 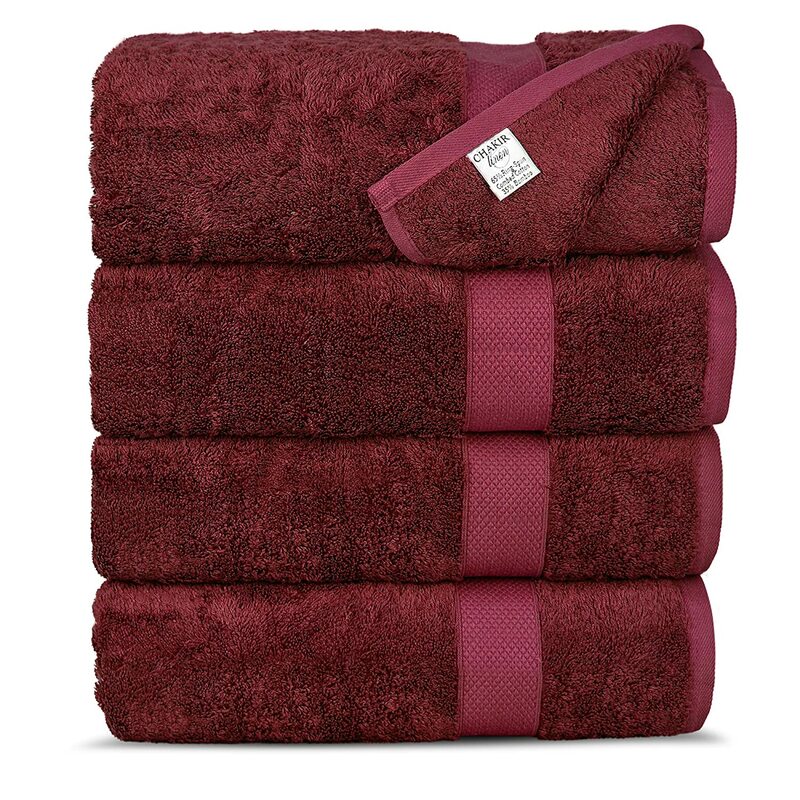 This bath towel is sold individually and comes in a range of colors and different sizes (the bamboo bath sheet at 40″ by 70″, the bamboo bath towel at 30″ by 56″, the hand towel at 16″ by 30″ and the bamboo washcloth at 13″ by 13″. They also have a bamboo towel 3 set that contains one bath towel, one hand towel and one washcloth). Made from 40% rayon from bamboo and 60% combed cotton, this towel exhibits the best qualities of both fibers. 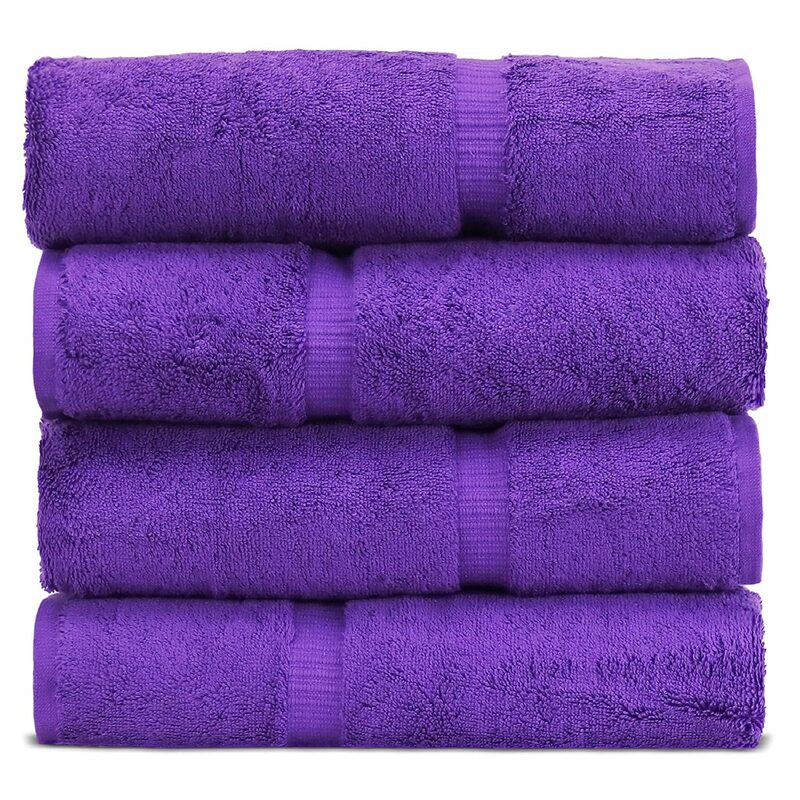 It is comfortably soft, highly absorbent with a velvety sheen similar to the Turkish towels. Superior’s towel is specially combed to remove all but the finest, longest fibers. The towels are made with double amount of fibers so they are more durable than single ply towels. The towels are also easy to maintain as they are colorfast can be washed by a washing machine. Available in a variety of striking colors, the towel also comes in a set including; 2 bath towels 30″ x 54″ each, 2 hand towels 16″ x 30″ each, and 2 washcloths 13″ x 13″ each. They also come in a variety of colors. The Caribbean is a quite unique one as it is made of 100% rayon from bamboo and is not blended with other materials like most of the other brands on this list. Apart from its soft, silky touch, one of its strong selling points is its durability as a lot of users of the brand confirmed that even after multiple washes, it retains its original look (some loose strands might appear in the process but that is safe and common with bamboo towels). The only cause of slight dissatisfaction among users is that the size is a little bigger than the standard towel. Other than that, it has the passive properties of all bamboo based bath towels – it is hypoallergenic not to mention also has antibacterial and antifungal properties. This towel is available in various sizes but only in white. it is often sold in a 2-pack, 4-pack, and even a 12-pack, perfect for homes, luxury spas and hotels. As with the previously mentioned Chakir Turkish Towel, this one is also made with 35% bamboo rayon and 65% Turkih cotton for greater absorbency. It has the soft and silky feel of cashmere with an absorbency that surpasses cotton. It isn’t as soft or fluffy as the Cariloha, but neither is it as strenuous on your wallet. The towels are ecofriendly made with natural dyes that do not easily wash off and are 100% safe for the environment. Users also testify to the amazing absorbent qualities and plushness of this towel and believe it is well worth the price, the only drawback being that it has a long drying time. They also happen to be popular choices with luxury spas and hotels. They are sold in packs of six with various sizes and are available in a range of pleasant colors. The Ariv Collection towels are generally made of 30% bamboo and 70% cotton blend for strength, great fluid absorbent qualities all in a light-weight towel. 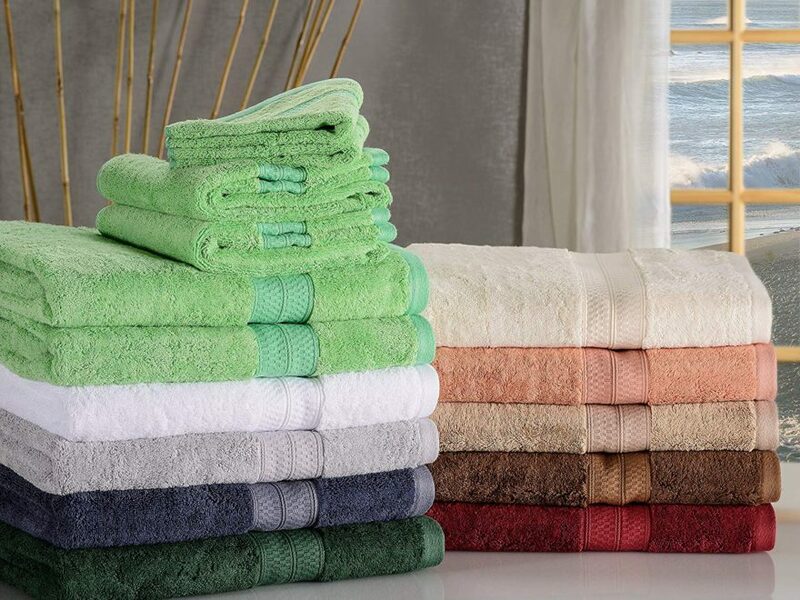 With all the features available in other bamboo bath towels including anti-bacterial and anti-fungal properties, the towels are also mildew-resistant, odor resistant as well as light-weight. They are a great choice for homes and families and are available at an affordable price. Compared to other towels mentioned in this article, they are lighter in weight and dry faster with impressive absorbent power with minimal lint produced. They are sold in packs of four and are available in dark colors. This is available as an individual towel with dimensions of 40” * 70”. With a balanced fabric blend of 50% bamboo rayon and 50% cotton also with a special silicon softener infused to give a softer, finer feel of towel comfort, well balanced between thickness and delicate thinness. The towel is odor resistant, a common property among bamboo based towels and also features moisture wicking capabilities for enhanced fluid absorption that works by rapidly moving moisture to the fabric’s surface and drying it just as fast too to prevent it from saturating the fabric. it is very popular among users due to its renowned softness and fluffiness. This is quality towel at its most affordable. Like most other towels in previously mentioned, this is a fiber blend towel with 35% bamboo rayon and 65% Turkish cotton, giving it a plush, luxurious feel and making it optimized for efficient fluid absorption. It is recommended to wash the towels before use as each wash makes it softer in turn. Proper laundering practice is also advised when dealing with the towel to ensure minimal lint. 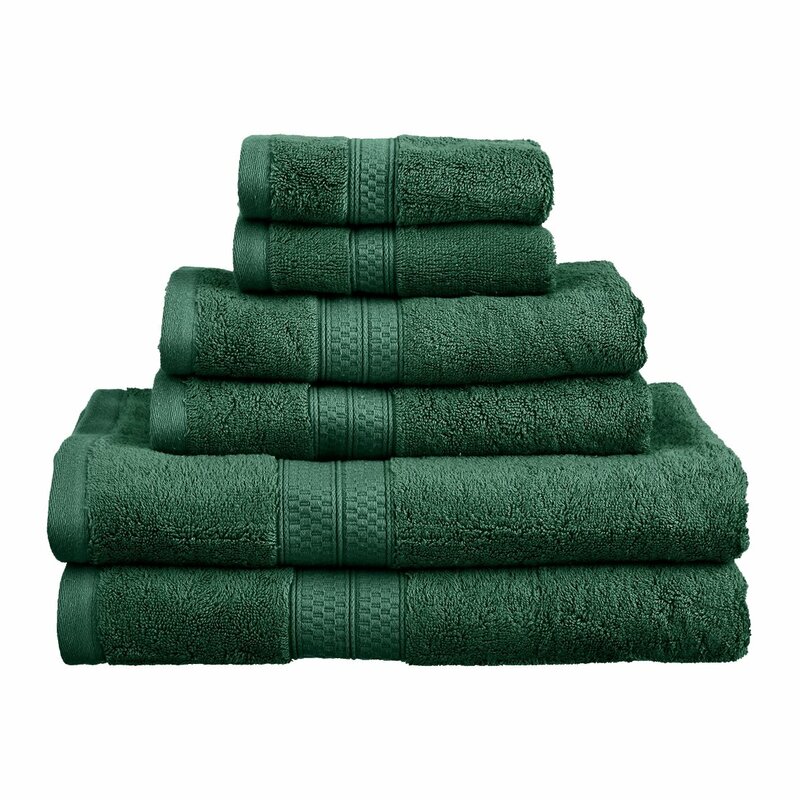 They come in a 6 piece towel set including 2 x Bath Towels 27″x 54″, 2 x Hand Towels 16″x 30″, 2 x Washcloths 13″x 13″. A few users have actually complained that it was too soft and produced lint when laundered. Like all the bamboo towels on this list, the Ixirhome bamboo towel is also a great pick. With a fiber proportion of 70% bamboo rayon and 30% Turkish cotton, as expected, it has the characteristic softness and fluff power that feels great on the skin. It also has efficient fluid absorption capacity common to bamboo based fabrics. One thing that endears the users most to this brand though, is the variety of vibrant colors these towels are available in. Having a few sets of the Ixirhome in your bathrooms gives one the feel of being in one of the luxurious bathhouses fit for royalty of past civilizations. Users of this brand have also agreed that seeing them hang from the towel bars always has an aesthetic feel to it and are also impressed by its softness. The towels come in gift packs of 4 (2 bath towels and 2 hand towels). This fine towel is a fiber blend consisting of 65% of Turkish cotton and 35% of bamboo rayon. This pick is all natural like the others on this list, made free from harmful chemicals and synthetic materials. 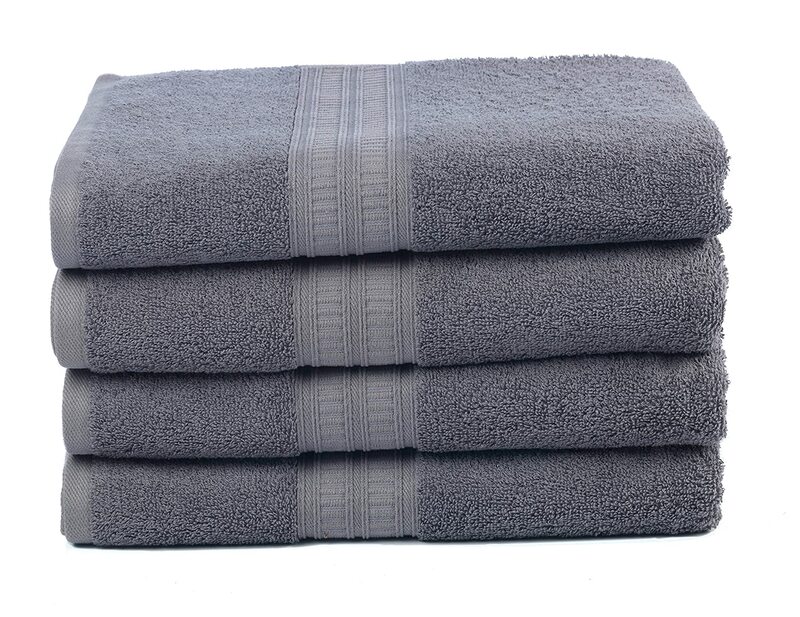 This cannot actually be considered as a luxury towel as it isn’t as thick, they are big, soft and comfortably plush though and they are also machine washable. The consumer feedback on this brand has been quite favorable as they all agree that the brand is worth its price. There were a few complaints though, about the fact that during washing, some of the towel fluff got loose. With good consideration, they are a great buy and are recommended for those who want good quality without denting their wallets. They come in a set of 4 varying among pool, gym and bath towels. Bamboo bath towels absorb water better than regular cotton towels. In addition, they also facilitate better evaporation of moisture, making them fast drying. Bamboo rayon gives a unique gentle and ultra soft feel. Bamboo towels’ natural breathable with no unpleasant odors. Bamboo is a natural germ fighter and prevents the growth and harboring of bacteria, fungi and dust mites. Bamboo towels are safe and eco-friendly, so you can rest easy, assured that no harmful chemical was used in the harvesting and processing of the raw material. They are even recommended for people with skin sensitivities given that bamboo is naturally hypoallergenic and doesn’t require any harsh chemicals to process to grow. In making a decision about the right bamboo bath towel to buy, you should take note of the fiber content and proportion of the towel. Also look for the Oeko-Tex certification as this confirms that the towel is free from harmful chemical residues.